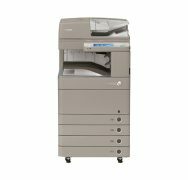 Color Solutions - American Business Copiers, Inc.
Browse Color Solutions from American Business Copiers, Inc. The imageRUNNER ADVANCE C3500 Series is designed to deliver reliable color performance with a compact and efficient design. 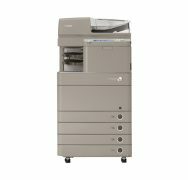 The imageRUNNER ADVANCE C3530i is designed to deliver reliable color performance with a compact and efficient design. Designed to improve workflow, limit downtime and easily integrate with multi-user fleet environments, the reliable and compact imageRUNNER ADVANCE C355iF all-in-one printer produces high-quality color images while remaining user-friendly. 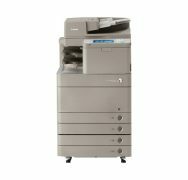 At up to 30 pages per minute, the imageRUNNER ADVANCE C5030 model offers powerful performance in a whole new form for departments and workgroups. At up to 35 pages per minute, the imageRUNNER ADVANCE C5035 model offers powerful performance in a whole new form for departments and workgroups. At up to 45 pages per minute, the imageRUNNER ADVANCE C5045 model offers powerful performance in a whole new form for departments and workgroups. 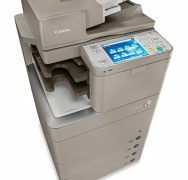 At up to 51 pages per minute, the imageRUNNER ADVANCE C5051 model offers powerful performance in a whole new form for departments and workgroups. At up to 35/30 pages per minute (BW/Color, Letter), the imageRUNNER ADVANCE C5235 model offers powerful performance for busy workgroups that demand outstanding efficiency. 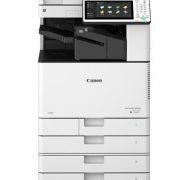 The Canon imageRUNNER ADVANCE C5200 Series Multifunction Printers/Copiers transforms workflow from a series of individual processes to an integrated flow of shared information.